Shouldn’t ESPN stand for Electronic SPorts Network? If the eSports revolution continues to rage, it might change its name. Learn why the future is bright for eSports. Sports is big business and children love video games. When you combine the two, you have the power of eSports. Some children are really good at typing and would love to be paid to do so. As they grow up, they might continue to play their games online. Finally, the wealthy have seen the opportunity to make money by having people pay to watch others play video games. Why would someone want to watch another play sporting contests online? Many offline professional sports spectators will only watch the game; they really don’t plan on participating. That might be one of the key differences between brick-and-mortar sports and eSports. Generally, more eSports spectators are playing the games that they are watching. Therefore, the top electronic game makers – Activision, Blizzard, Electronic Arts and Riot Games (owned by Tencent Holdings) will seek to sell more games using eSports synergies. And, smart businesses go where the people are. Some of the events are receiving a lot of views. The top games might be Counter-Strike, League of Legends or Defense of Ancients. League of Legends (by Riot Games) has 118,000 players and more than 10 million followers. There have already been 2,000 professional tournaments handing out $49 million in prizes to League of Legends competitors. How Much is eSports Worth? 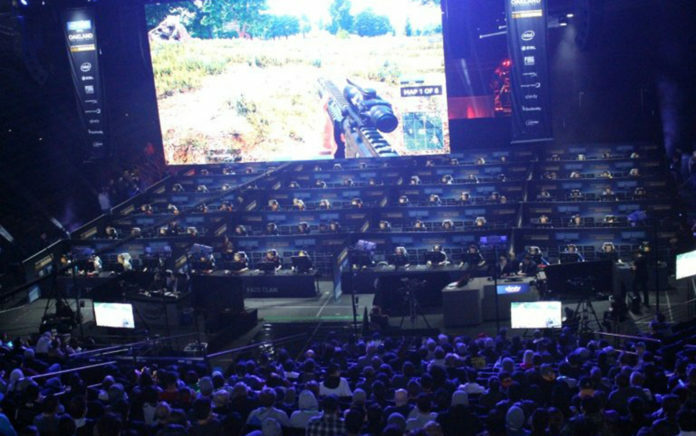 The Asia-Pacific dominates the eSports arena accounting for about 44% of the audience. Experts calculate that the eSports industry is worth $1.5 billion in global revenues for 2018. In 2015, the average annual revenue per eSports fan was $2.83 (compared with about $15 for NBA fan). Already, billionaire Wes Edens has combined the genres of the NBA with eSports through his co-ownership of the Milwaukee Bucks (NBA) and FlyQuest (League of Legends). He purchased a League of Legends team named Cloud9 for $2.5 million and re-branded it as FlyQuest. The entrance of billionaires such as Wes Edens into eSports is a great sign for the industry. He was quoting as saying, “We are very excited to enter such a rapidly growing and immensely popular sport. FlyQuest intends to compete and win at the highest levels of eSports and quickly become an internationally respected organization.” Wes Edens was able to build up the Fortress Investment Group, which became the first hedge fund to go public. There are high hopes that Mr. Edens can use his branding expertise to advance FlyQuest and League of Legends. There are also the synergies with the National Basketball Association (NBA). Both could be promoted to young people. And, other NBA owners are investing in eSports too. Corporations advertise where the people are and millions of viewers makes eSports a winner. Wise investors are getting in on the ground floor.